Happy New Year! Let's Stamp!! If you are in the San Antonio area and want a diversion on New Year's Day, stop by my studio! If you have a project to work on, bring it! If you have a stamp set you don't know what to do with, bring it! If you want, you can pick from some projects that I have and make one or more (a small fee will apply). Come anytime after 10:00 AM and stay as long as you like! Stampin' Up! has added new products to the Clearance Rack - I'm not sure which are the new items but you HAVE to check it out! Go to my ONLINE STORE and then where is says "Show", click the arrow and select "All". Now you can see everything - over 130 items! Something for everyone! You like fabric? It's there - as low as $1.99! You like paper? There are solids, Designer Paper, and Core'dinations - some retired, some current! Ribbon, trim, and buttons? OMG - so many!! Plus stamps and punches and dies!!! - Oh My! Remember, these deals are only good while they last, so go check them out now!!!! This Week's Weekly Deals - Great Prices! You can order at my Online Store and the order will be shipped direct to your house! Click HERE. But you might want to wait until tomorrow because that is when Stampin' Up! will add new items to the Clearance Rack!! From the bottom of my heart, I wish you the merriest of Christmases!!! There are only 10 days left to order from the Stampin' Up! Holiday catalog. If you haven't bought everything on your wish list, you should check out this list. The Carryover List includes those seasonal items that will still be available after the sales period for the catalog ends. If the item(s) on your wish list aren't on the Carryover List, then be sure to order them now so you are not disappointed later! 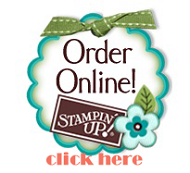 You can order at my Stampin' Up! store or email me! Here are the Weekly Deals for December 17 - 23. Great stuff!! 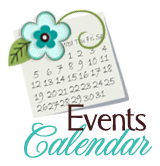 Check it all out at my Stampin' Up! store. Oh Christmas Tree - Handmade! This year, I decided to put my Christmas tree in the studio instead of my house because I was going to have 2 parties there plus my December stamp club. I made a lot of angel ornaments using the Bow Die as well as some snowflake ones using the Snowflake Ornament Kit. Friday the 13th, But No Fears! And I don't like to go empty-handed - today I took in a bunch of these cute little coffee cups filled with kisses - they went nuts over them! I wonder how I will top that the next time? Starting today and for as long as supplies last, the Clearance Rack is full of wonderful retired product, some very hard to find! All prices are discounted, up to 80% off! All of it is amazing and no longer available anywhere else! Check it out now at my Stampin' Up! Store! You can order from my online store or you can email me or you can call me at 210.684.5800, but whatever you do DO NOT WAIT TOO LONG!!! Based on past history, some of these will sell out VERY quickly!! With the twine held firmly in place it was a snap to tie a bow! If you placed an order with me in the last year or so, be watching your mail next week for your 2014 calendar magnet!